Wine of Italy. Extra dry.Presented in a striking cut-glass bottle, Freixenet Prosecco blends superior quality with stunning beauty. Using its extensive sparkling winemaking expertise, Freixenet has created a stand-out, high quality and stylish wine that is the perfect for any occasion. 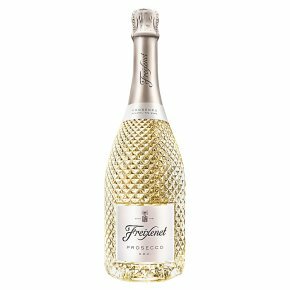 Made from the finest Glera grapes in Italy's Prosecco region of Veneto, Freixenet Prosecco is as distinctive as it is delicious, with the lively effervescence of ripe lemon, hints of green apple, and grapefruit flavours. With a delightful light and fresh finish, this prosecco can be enjoyed to celebrate every occasion in style. What's more, the stunning bottle makes for a great centrepiece at any celebration, or to impress family and friends over an evening meal. Perfect with shellfish, light meats, desserts or as a sophisticated aperitif.